This girl over here actually got round to booking a holiday last weekend! Thanks to Thomas Cook I get a daily reminder in my inbox of how many days are left to go and what add on I should purchase next to make it the ultimate holiday, so there’s that. I’ll be sauntering off to Mallorca next month in my fluffy Primark sandals that aren’t meant for walking in, and that super unpractical basket come beach bag, because fashion. Packing for holiday 100% means packing those 24 outfits when you’re only away for 7 and having to bring your whole kitchen sink if you have to. It’s what you do. Books, and plenty of them. Holidays are the only time I get time to sit down and totally get lost within a book, and I’m sure so many can relate that it’s the best! I’ll usually get through a book every 1-2 days so I take plenty! 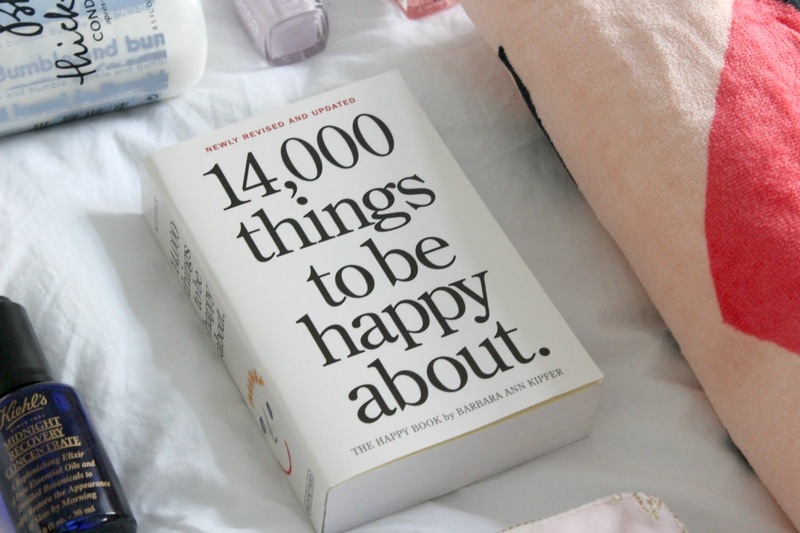 Not a novel as such, but I’m currently LOVING 14,000 things to be happy about. I read a page of it every morning or if I’m feeling a bit down and it restores all my faith and humanity within the world. 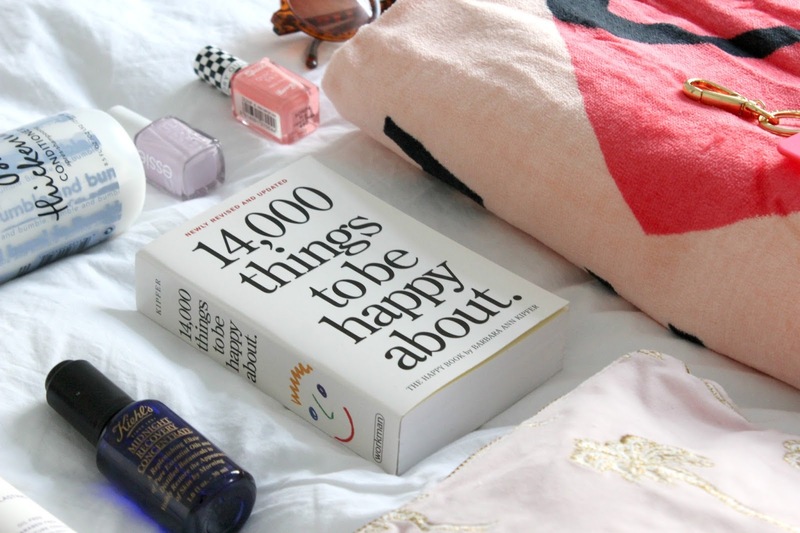 Sometimes you just need a gentle reminder, and this book is perfect for that. Don’t make trying to spot your suitcase on the carousel any harder than it should be, and DO invest in a good quality luggage tag. Preferably hot pink, and from Kate Spade. This Why Hello There Luggage Tag* is a little bit of me. They’re perfect for suitcases, hand luggage and dare I say it – flat lays. How could you resist when it’s so colourful and pretty. I’m sure this one will be gracing my suitcase for years to come. *Adds 100th cute makeup pouch to the collection* – Like Breton striped tees, one can never have too many makeup pouches, right? They come in super handy on holidays, from putting your suncream in for by the pool, storing your makeup or even for doubling up as a clutch bag in the evening. Get one that can do them all. This Elizabeth Scarlett velvet wash bag* certainly can. 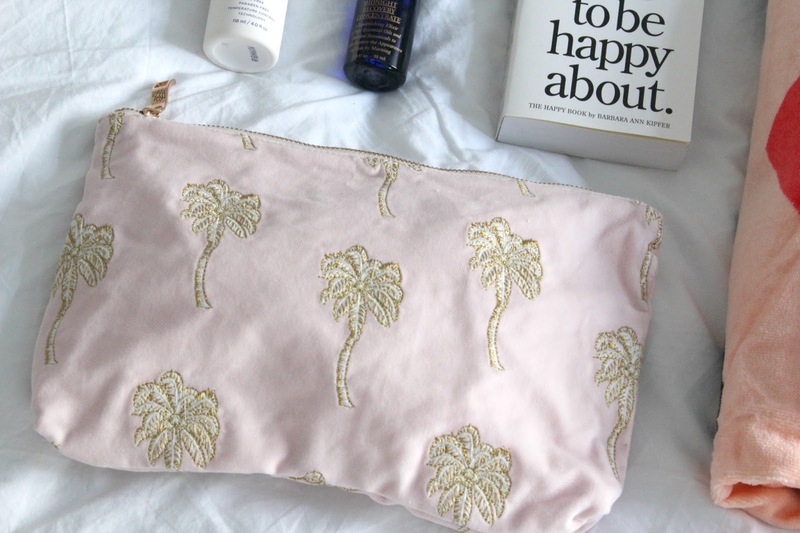 It’s by far the dreamiest clutch bag – it’s pink, velvet and has all the tropical vibes. It’s the only way to transport those essentials to your summer getaway! We all have those miracle products that have to come everywhere with you and I’ve discovered a few wonders this year that I just won’t do without on holiday this year. -Kiehls midnight recovery oil is legit the best thing. Apply it to your face before bed, I pop mine underneath moisturiser for added nourishment. If I have tired looking skin, it always looks better in the morning after using this. It smells amazing and has completely altered my opinion of facial oils. I’ll *probably* end up getting another bottle in duty free too! 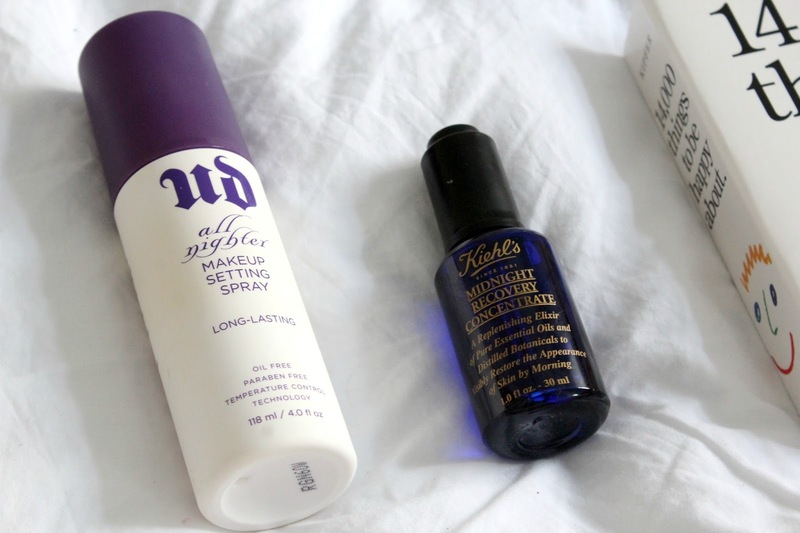 -Urban Decay all nighter makeup setting spray – Ok, so I was a bit dubious about this product, I mean what foundation actually lasts 12 hours on your face like they always claim, they don’t. But this spray, it’s a game changer. I usually wear it for nights out but I was putting it on during the heat wave for work and my makeup did not move ALL day. It is a godsend from the heavens, doesn’t upset my skin and it’s far kinder to your skin than using hairspray (I still don’t even know if that works?). They do a mini version of this too and I urge everyone to get one for their holiday if you want flawless beach makeup all day! It goes without saying that I usually will end up bringing my kitchen sink with me, but if it had to be any 2 things I could bring with me it would be the above. Other essentials obviously are…suncream, aftersun, suncream lipbalm, a high quality conditioner to treat those sun damaged tresses and ALL the makeup. If you don’t have an *insert flamingo or other* inflatable this summer, are you even going on holiday? I’m glad they’re more of a thing this year as they’re a) super cute b) more instagrammable than a lilo – do people even still buy them? This year I’ve opted for the cutest Ban.do Heart Inflatable*, it doesn’t mean I’ll end up passing out from blowing it up and oh am I excited for the pictures of it on holiday! I don’t normally take floats away on holiday, but it will save you ££ when you’re away and you’re ready to hit the pool or beach in style on the day you arrive! Have I been living under a rock for the last 24 years as how did I not know these ingenious, yet simple inventions were a thing? You never quite know where to store your dirty underwear on holiday and on the return. Stuff it in that supermercado shopping bag or stuff it back into your suitcase in case you need to revisit them when you realise you haven’t packed enough pants. Who knows. 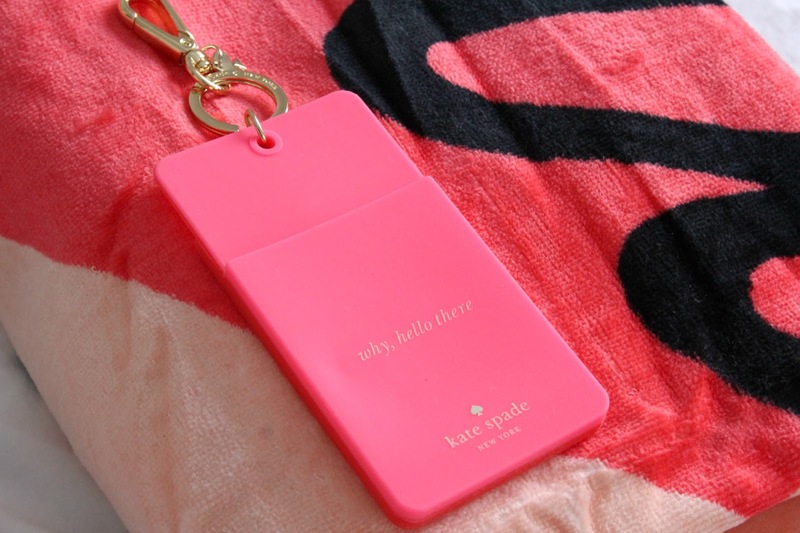 These Kate Spade Wash & Wear Travel Bags* make that decision for you. I’ve never known something so simple and easy to change my life. 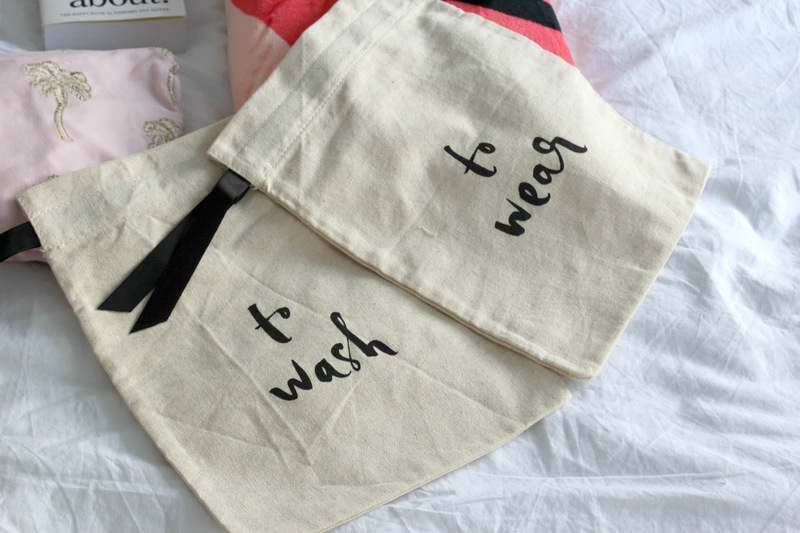 No more dirty underwear touching your clean clothes and delaying the washing process when you get home. Kate Spade also does a similar shoe bag which is perfect for putting your shoes in when you’re packing. Again, far more stylish than that holey white plastic bag you’ve been using for your shopping for the last 6 weeks. Clothes, clothes, shoes, more clothes, passport, camera and boring documentation. It’s the little things like the above that I can’t do without, and will help that holiday get off to a relaxing start. I personally don’t think you can go wrong with Amara’s travel accessories if you’re not sure what else you need to pack or don’t know what you’re looking for. They have a mix of designer and cheaper brands to help you ace your holiday packing! What are your travel essentials? Are you going on holiday this year?